The 2013-2014 Kohlenberg Lyceum Series presents the Liverpool Legends Beatles Tribute Band at 7:30 p.m. Nov. 7 in Baldwin Auditorium. The Liverpool Legends, hand-picked by Louise Harrison, the sister of the late George Harrison, have been headlining their own production in Branson, Mo., since 2006. They perform songs spanning the entire career of the Beatles and on through the solo years, using vintage instruments and outfit changes for an authentic feel. The Liverpool Legends have been voted best new show, best band, best show, and they have received the visitors’ choice award for best show. Liverpool Legends received national attention as they re-created the Beatles famed 1966 concert at Busch Stadium in St. Louis. 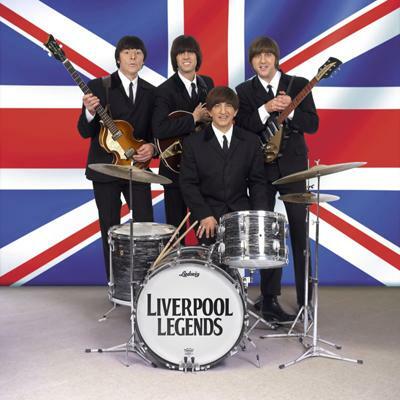 In 2012, Liverpool Legends, along with Louise Harrison, were nominated for a Grammy Award for their work on “Fab Fan Memories: The Beatles Bond.” The band has traveled and performed in venues such as Carnegie Hall and The Cavern Club in Liverpool, among many others. Tickets are free of charge for students, faculty and staff and will be available starting Oct. 31. Students may pick up their tickets at the Student Activities Board Office in the Student Union Building. Faculty and staff may get their tickets at the information desk in the Student Union Building. General admission tickets for each performance are $7 per person and can be purchased approximately one week before the presentation at Edna Campbells or the Truman cashier window in McClain Hall. After the Liverpool Legends, the Lyceum series will continue at 7:30 p.m. Dec. 7 in Baldwin Auditorium with the Kansas City Chorale Holiday Concert. For more information, call 660.785.4016. Current Saturday Night Live (SNL) cast member Vanessa Bayer will perform at 7 p.m. Nov. 8 in Baldwin Hall Auditorium. Bayer started her SNL career in 2010 and has portrayed many celebrities including Kourtney Kardashian, Miley Cyrus and Hillary Clinton. She became Truman students’ number one choice last spring on SAB’s Big Entertainment Survey. Doors will open at 6:30 p.m. The event is free for students with a Truman ID and $5 for general admission. Tickets are available in the SAB Office, located on the lower level of the Student Union Building. The Student Activities Board will also host singer-songwriter Phillip Phillips at 9 p.m. Nov. 16 in Pershing Arena. Tickets are $5 for students with a Truman ID and $15 for general admission. Truman’s debate team placed first overall in the debate sweepstakes Oct. 5-6 at the Bradley/ISU 74 Swing Tournament in Central Illinois. The first half of the Dan Smith Invitational Tournament was Oct. 5 at Bradley University. Maddie Ebert and Myra Milam were the tournament’s co-champions in the Lincoln-Douglas Debate. Nick Gorman broke into the semifinals in the same debate. Milam won the first place speaking award, Ebert took second and Gorman took third. Anson Long-Seabra placed first in novice prose. The second half of the tournament took place Oct. 6 at Illinois State University. Donny Richardson and Sarah Muir were the tournament’s co-champions in the open Lincoln-Douglas debate. John Carney advanced to the semifinals in the same debate. Muir won the first place debate speaker award, while Richardson took third place. Jake Buxton took second place in novice debate, and won the first place speaker award in that division. Long-Seabra placed fifth in novice prose. For more information or questions about the speech and debate team, contact the director Kristi Scholten at kscholten@truman.edu. Applications to become the next student representative to the Truman Board of Governors are now available. The Board is made up of 10 individuals who are appointed by the governor of Missouri and confirmed by the Missouri Senate. Of the 10 Board members, there is a sole student representative to the Board of Governors. The student representative holds a non-voting, two-year position. The next student representative will serve from Jan. 1, 2014 until Jan. 1, 2016. The student representative plays a vital role in the protection and advancement of student interests by regularly consulting with the Board of Governors, which is the highest policy-making body for the University. The Board plays an important role in shaping different aspects of University policy. With students making up the majority of the community, it is important that the Board has a strong student member to further their constituency’s needs, interests and concerns. It is the responsibility of the student representative to communicate these ideas with the Board as well as with many other areas of the campus community. Serving as the student representative to the Board provides the opportunity to represent the student body on issues such as tuition, student fees, University personnel, spending and policy. Applications are due by 5 p.m. Nov. 1 and can be found on the Board’s website here. Students may contact current student representative Michael Bushur at mjb6337@truman.edu for questions or more information. Applications for the spring 2014 USA Today Collegiate Correspondent Program are available now. As a collegiate correspondent, students will write one article per week for USA Today College, providing a unique angle on current news. Chosen correspondents will have their articles published on the USA Today College website, with a chance for exceptional work to be considered for publication in USA Today and on the USA Today website. Collegiate correspondents are able to choose their topics as long as they are newsworthy and current. Correspondents will have the opportunity to work with the USA Today College editorial staff for guidance and writing support, and a stipend of $350 will be awarded for successful completion of the program. The first round of applications will open Nov. 11-25. Selected students will move on to the second round of applications, which runs Dec. 6-9. Chosen applicants will be notified Dec. 16, and the spring 2014 term runs Jan. 13-May 9. For more information, visit usatodayeducate.com/correspondent. Truman’s 24th Annual Undergraduate Philosophy and Religion Conference, sponsored by the Department of Philosophy and Religion, will take place from 9 a.m.-5 p.m. Nov. 9 in the Alumni Room of the Student Union Building. During the conference, undergraduate students from throughout the Midwest will present papers in many areas of philosophy and religion. Refreshments will be provided during the conference. Keynote speaker Dr. Evan Williams will present on the topic, “Can Environmental Damage be Both Morally Permissible, and Morally Bad?” This presentation will take place at 12:30 p.m. in the Student Union Building Georgian Room B and lunch will be provided. For more information, contact Kara Boschert at kbd2635@truman.edu or David Murphy at 660.785.7246 or dgmurphy@truman.edu. Two summer internships are available for Truman students during the summer of 2014 at the Truman Presidential Museum and Library in Independence, Mo. The position is an eight-week, 40-hour per week internship, coinciding with the University’s summer break. Each student will receive a scholarship to cover five hours of internship credit, and the position is unpaid. Junior and senior students are encouraged to apply. Areas of work include archives, public relations, marketing, educational programming, museum development or visitor services. This internship opportunity is available thanks to Truman’s desire to maintain a relationship with the presidential museum and library, and to a generous endowment from the family of Fred and Ethel Schwengel. Applications are due Dec. 6. For more information, contact Jeff Gall at jgall@truman.edu or 660.785.7747. The Truman Public Relations Office is now accepting applications for the full-time spring 2014 internship position. To apply, send a résumé, two writing samples and contact information for two on-campus references to the Public Relations Office, McClain Hall 202, no later than Nov. 1. For questions about the internship, contact Travis Miles at tmiles@truman.edu. The Office of Advancement is now accepting applications for the spring 2014 Annual Fund Internship. The Annual Fund Intern works extensively with the student phonathon and assists in the planning and publicity for the senior giving campaign. Public speaking is a critical component of this position, as is the ability to communicate with people from diverse backgrounds. Communications majors are encouraged to apply. To apply, send transcripts, resume and a written statement addressing the following question: Why should people give to the University? Specifically, what about your Truman experience has been made possible by donations to Truman? How would you articulate the impact of private support and the need for future donations to current students? Applications materials are due to the Office of Advancement, McClain 205, by Nov. 6. The SERVE Center is hosting their annual Big Week of Giving Oct. 28- Nov. 2 with events scheduled around campus all week. Students will meet on the Quad and go around Kirksville in costumes to collect canned goods. The volleyball tournament will be on the east court at the Rec Center. Teams can register here. For more information, contact the SERVE Center at serve@truman.edu or call 660.785.7222. Francisco Cerezo is a human rights activist who works with Witness for Peace Organization to promote human rights across the globe. His story includes personal narrative about his three brothers who were arrested and held as political prisoners. On Halloween, the residence halls will be open from 6-8 p.m. for trick-or-treating for children of all ages. 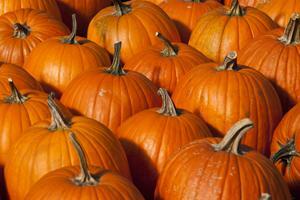 SAB is sponsoring pumpkin carving from 2-4 p.m. Oct. 30 on the Quad. The event is free and SAB will provide pumpkins, carving equipment and Halloween treats. Students can enter for a chance to win a prize. For more information, email mms4787@truman.edu. Multiple 5K races have been scheduled to help raise funds for the United Way. $20 registration fee. Release of memorial balloons will follow the race. For more information, call 660.627.9711. $18 pre-registration fee or $5 run-only donation. Strollers and children are welcome at this family event. Post-race beverages and snacks will be provided. For more information, call 660.665.1922. Truman volleyball will host its annual Faculty/Staff Appreciation Night at 5 p.m. Nov. 2 in Pershing Arena, where the Bulldogs will play the University of Southern Indiana. The Bulldogs are currently leading the West Division in the GLVC Conference. The first 25 faculty/staff members in attendance will receive a free t-shirt. For more information, visit trumanbulldogs.com or visit the Truman Volleyball Facebook or Twitter pages. The Student Union Reservation Office will accept reservation requests for the spring semester from 8 a.m.-5 p.m. Nov. 4-7 in the Student Union Building Administrative Office, Suite 2000. Only paper requests will be accepted. Paper lottery forms can be found at studentunion.truman.edu/lottery. Early requests will not be accepted, and late requests will be processed on a first-come, first-served basis after other requests have been processed. Alpha Phi Omega and the Red Cross are sponsoring a blood drive from 10:30 a.m.-5:30 p.m. Nov. 5-6 in the Student Union Building Georgian Rooms. Winner of American Idol’s 11th season, Phillip Phillips’ blend of rare authenticity and massive pop appeal has pushed him into stardom. Some of his biggest singles include “Home” and “Gone, Gone, Gone.” Tickets are $5 for students and $15 for general admission, and are available in the Student Activities Board Office in the lower level of the Student Union Building. The Rec Center will be conducting free body composition assessments from 9 a.m.-4 p.m. and 5-6 p.m. Oct. 29 and 7:30 a.m.-12 p.m. and 3-4 p.m. Oct. 30. Sign-ups are available at the weight room desk in the Rec Center, and space is limited. For more information, contact Miranda Walton at mwalton@truman.edu or 660.785.7739. Students that need help with a research paper can set up a Research Assistance Program (RAP) session with a subject librarian who can help you refine your topic and locate useful sources for research papers. To set up an appointment, email asklib@truman.edu or call 660.785.4051. Bob Mielke, professor of English and Kirksville author, will release his book titled “Adventures in Avant-Pop,” and host a series of events Nov. 1-3 surrounding the release. At 11:30 a.m. Nov. 1 in Ophelia Parrish Room 2340, Mielke will host a discussion of his book at Truman’s New Horizons Music Festival. Sigmund Snopel III will perform song-cycles for piano and voice at 8 p.m. Nov. 3 in Ophelia Parrish Performance Hall. All events are free. Mielke grew up during the rise of pop music, FM radio and record stores. Throughout the years, he has amassed an understanding of the culture, artists and history of the music he grew up listening to. “Adventures in Avant-Pop” is the culmination of Mielke’s knowledge, interest and dedication to the work and lives of seven artists. In his book he attempts to find common ground between the different musicians. Mielke has lived in Kirksville and taught at the University for over 20 years. He is the author of several books, including most recently a collection of poems entitled “Kirksville.” He has in his lifetime been an Elvis impersonator, a radio deejay, an avid pop-culture collector and interpreter. For more information on these events and additional off-campus events, check out the Facebook event page. Aaron Albright, sociology student, won 2nd place in the Missouri Sociological Association (MSA) 2013 Undergraduate Paper competition for his work on “The United States’ Use of Drones.” He presented the paper at the MSA Annual Meeting in Lake Osage, Mo. Oct. 12. Daniel Mandell, professor of history, had his article “‘A Natural & Unalienable Right’: New England Revolutionary Petitions and African American Identity,” published in Remembering the Revolution: Memory, History, and Nation-Making from Independence to the Civil War. Andrew Robson, music student, was invited to conduct the first movement of the Dvorak Eighth Symphony at all three performances of the Southeast Iowa Symphony Orchestra’s Fall Classical Concert Series Oct. 19-20. The Student Nursing Association is selling Harvard of the Midwest t-shirts and purple tumblers 10 a.m.-4 p.m. Oct. 28-Nov. 1 in the Student Union Building and Magruder Hall. The t-shirts are available in multiple colors. There will be Coffee with the President from 2:30-3:30 p.m. Oct. 28 in the Library Cafe. The Grad School Expo will be from 6-8 p.m. Oct. 28 in the Student Union Building Georgian Room B. The event is sponsored by Psi Chi. For more information, email sjd2418@truman.edu. BNB’s Greatest Scare on Earth Haunted House will be from 8 p.m.-12 a.m. Oct. 28 in the BNB Hall Basement. Admission is $3, and $2 of the admission price will be donated to Doctors without Borders. For more information, email kmb5543@truman.edu. This event will be scary and should not be attended by young children. James Guffey, professor of statistics, will present “Keep Your Eye on the Ball: Maintaining Students’ Attention in the Classroom” at 3 p.m. Oct. 29 in the Student Union Building Alumni Room. Coffee and cookies will be served. This event is sponsored by the Academic Professional Development Center. The physics colloquium will continue 4:30-5:30 p.m. Oct. 30 in Magruder 1000. Lauren Liegey, Katherine Maxwell and Francis Afzal will speak about their summer research experiences and summer research opportunities for undergraduates. Sigma Delta Pi is hosting a Day of the Dead Bake Sale from 10:15 a.m.-2:30 p.m. Oct. 31 on the Quad. Celebrate Día de los Muertos (Day of the Dead) by purchasing skull cookies, chocolates and other baked goods on the Quad. Ten percent of the proceeds will go to the Vera Piper Endowed Scholarship. Truman’s 2013 Lincoln Contest focuses on the topic of “Global Slavery” and the notion of slavery in today’s society. Submissions for the contest are due by Oct. 31 and can be in art, essay or oratorical form. For more information, contact Barry Poyner at bpoyner@truman.edu. The House of Grim Haunted House will be 7:30 p.m.-12 a.m. Oct. 31 in Grim Hall. Join the staff for a haunted house experience while learning about the history of Ezra C. Grim Hall. Admission is $3. This event will be scary and should not be attended by young children. The Society of Dance Arts will showcase its fall recital at 7 p.m. Nov. 1-2 in Baldwin Auditorium. Doors will open at 6:30 p.m. Admission is free for all audience members. The show will consist of various styles of dance choreographed by TSODA members, as well as performances by guest groups. The student-directed lab show will present “Be a Good Little Widow” at 8 p.m. Oct. 31-Nov. 2 in the Black Box Theater. Admission is free, but seating is limited. Tickets can be reserved at the theater box office in Ophelia Parrish, or call 660.785.4515. Tau Kappa Epsilon and Phi Delta are sponsoring St. Jude’s Charity Ball from 8-11 p.m. Nov. 1 in the Student Union Building Georgian Rooms. The event is a formal ball and silent auction to raise money for St. Jude’s Research Foundation. Tickets for the event will be on sale 10 a.m.-4 p.m. Oct. 22, 25, 28, 30 and Nov. 1 in the Student Union Building. Tickets are $4 for singles and $7 for couples, and will be available at the door for $5. Phi Epsilon Kappa is hosting their 2nd annual Spooky Mudder at 10:30 a.m. Nov. 2 at the University Farm. The Spooky Mudder is a 5K obstacle course, with proceeds benefiting Relay for Life. There will be a prize at the finish for all participants, and individual and group costume contests. The fee is a recommended $10 donation. The New Horizons Music Festival will be at 7:30 p.m. Nov. 2 in Ophelia Parrish Performance Hall. The festival includes four concerts and additional events. This year’s festival features Los Angeles Composer Paul Chihara and includes a commission from the composer by Sigma Alpha Iota for the Truman Symphony Orchestra. The 19th Annual Women and Gender Studies Conference is calling for papers on the topic “Gendered Space & Queer Alternatives.” Submissions are due 5 p.m. Nov. 15 to wgstconference@truman.edu in PDF or word document form. The Robert L. Gould Scholastic Award is an opportunity for students of all majors to submit a research paper on a specific topic for the chance to win up to $10,000. The deadline to submit a research paper is Dec. 2. For more information, contact Lana Dowell in the School of Business at ldowell@truman.edu. Truman State University Foundation Scholarship applications for the Spring 2014 semester are now available. Applications are online and are due by midnight Nov. 1. To apply, log in to TruView, go to the Student Tab, Student Finances, Foundation Scholarships. This application period is for Foundation scholarships that have not yet been awarded for 2013-2014. Applications for the majority of Foundation scholarships will be available in February for the 2014-2015 academic year. The University of Canterbury in New Zealand is offering various scholarship amounts up to $2,000 for the Spring 2014 semester. The deadline to apply is Nov. 1. For more information, contact Alyson Roberts at 406.994.7044 or at alyson.roberts@montana.edu. A-Z Printing has announced a scholarship opportunity for students in the amount of $1,000. More information about this “Impact a Life” college scholarship may be found at raffleticket.com/raffle-tickets-scholarship.html. Deadline to apply is Dec. 31.